The exhibition will feature 25 large scale prints, 5 artist books and 8 collages. Jeanine Coupe Rydings’ prints and artist’s books are in museums and private collections throughout the U.S., Europe, and Japan. 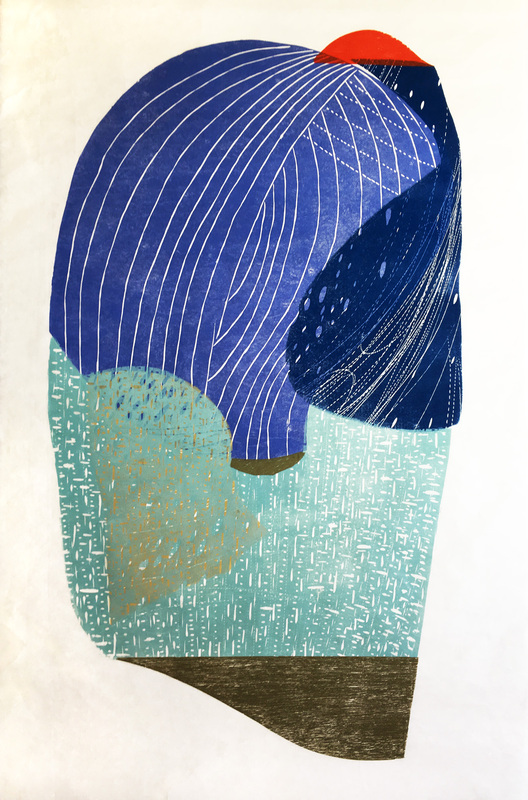 In addition to her art, which focuses primarily on woodcut prints, etchings, artist’s books, drawing, and collage, she has also founded both Shadow Press and Press 928 in Evanston, Illinois, for fine art publishing. She received her BA from The University of Iowa and her MFA from Universitat der Kunste, Berlin, Germany. Her work has earned prestigious awards such as the Illinois Arts Council Award, and she has had residencies at Arts Midwest, the Frans Masereel Center in Belgium, and at Anchor Graphics in Chicago. She’s also been teaching as an Adjunct Associate Professor in the Print Media Department at the School of the Art Institute of Chicago since 1991.